Dr. Kaufman is an Optometrist in Syracuse providing complete eye care services for the surrounding communities. 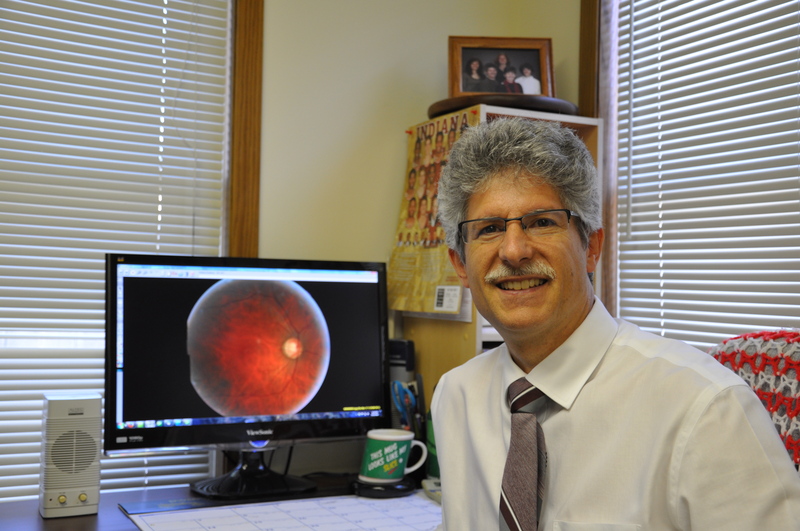 Dr. Kaufman graduated from Goshen College in 1983 and from Indiana University's School of Optometry in 1986. He has been in practice for more than 25 years. Dr. Kaufman has passed the treatment and management of ocular disease exam and is licensed to treat ocular disease; however, he specializes in contact lenses, specifically hard-to-fit contact lenses. In fact, he is certified to prescribe the SynergEyes'™ hybrid contact lenses, as well as CRT (corneal refractive therapy-a type of orthokeratology) lenses. Outside of the office, Dr. Kaufman enjoys biking and drumming. In addition to caring for everyday patients and families, Dr. Kaufman has been to Haiti several times to provide eye care to those in need. He also works with local low-income clinics for more than 10 years, where he offers top-quality eye care services to correct vision problems.